This is not a standard translation of Mulamadhyamakakarika. Translator Nishijima Roshi believes that the original translation from Chinese into Sanskrit by the Ven. Kumarajiva (circa 400 C.E.) was faulty and that Kumarajiva’s interpretation has influenced every other translation since. Avoiding reference to any other translations or commentaries, Nishijima Roshi has translated the entire text anew. This edition is, therefore, like no other. 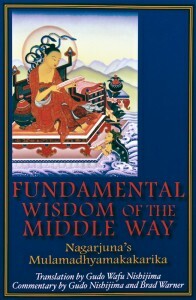 An expert in the philosophical works of Dogen Zenji (1200-1254 CE), Nishijima says in his introduction, “My own thoughts regarding Buddhism rely solely upon what Master Dogen wrote about the philosophy. 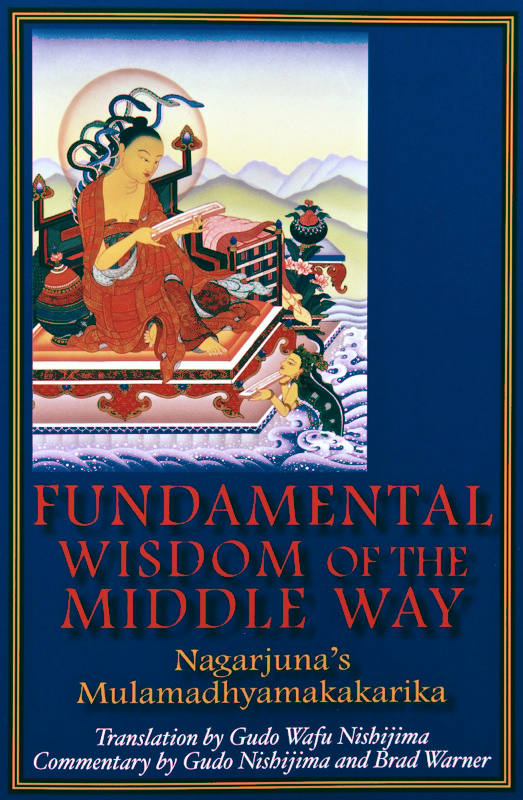 So when reading the Mulamadhyamakakarika it is impossible for me not to be influenced by Master Dogen’s Buddhist ideas.” Thus this book is heavily and unabashedly influenced by the work of Master Dogen. Working with Brad Warner, Nishijima has produced a highly readable and eminently practical translation and commentary intended to be most useful to those engaged in meditation practice. The Mulamadhyamakakarika (MMK) was written by Master Nagarjuna, an Indian Buddhist philosopher of the second century. Mahayana Buddhism had arrived at its golden age and Nagarjuna was considered its highest authority. The MMK is revered as the most conclusive of his several Buddhist works. Its extraordinarily precise and simple expression suggests that it was written when Master Nagarjuna was mature in his Buddhist practice and research.